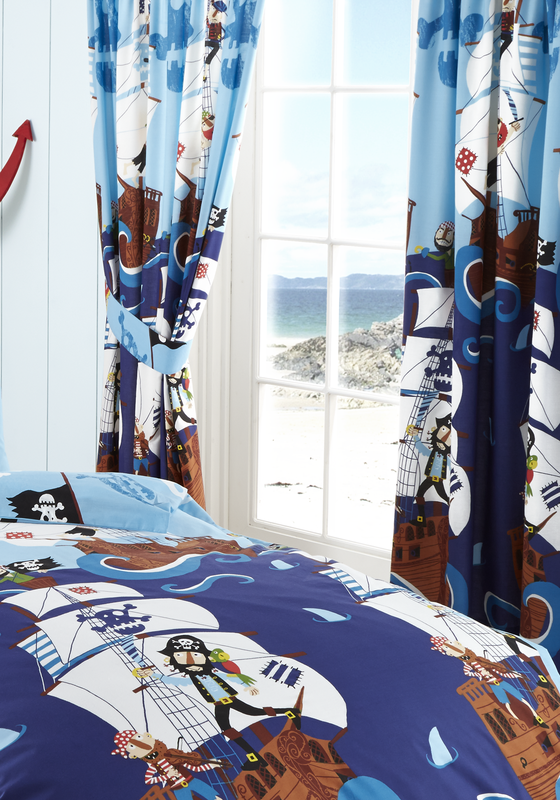 Kids Club present a pair of readymade pencil pleat curtains with a Pirate theme. 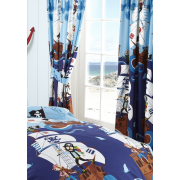 These curtains have beautiful colours that would perfectly suit a young boy’s room. Each curtain has images of large galleons sailing on the sea with pirates, and some of the pirates have falling into the rough sea water.